POSCA use water-based pigment ink to produce poster-paint-like vibrant colours that can be used on almost any surface. View the range including marker pens, brush tip pens, ultra-fine, fine and broad art pens. To use the marker shake vigorously with the cap securely attached in order to move the ball inside the barrell, remove the cap and the protection on the push button. Press and hold the push button to start the paint flowing. Replace the cap tight after use.You do not need to press the push button for too long and only once the cap has been removed. SHIN HANTouch Twin Marker are designed for detailed work, TOUCH TWIN markers feature an advanced alcohol-based ink formula that ensures rich color saturation and coverage, with silky ink flow. Each TOUCH TWIN marker features three distinct nibs (Fine, Chisel and Brush nib) to achieve a wide range of strokes, from fine lines to wide color fills. WINSOR and Newton ProMarker is a must-have, professional quality addition to your marker collection. 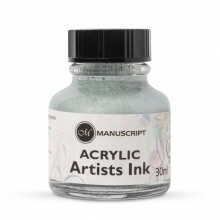 The range has148 colours from intensely vibrant to subtle pastels, blend-friendly, with malleable, alcohol-based, translucent ink, twin-tipped, with a broad chisel nib and fine bullet nib. The pens have high quality nibs for consistent, streak-free coverage and are very versatile: it can be used on ink-resistant surfaces like acetate, glass, plastic and wood. SCHMINCKE Aero Color Liners are empty marker pens that can be filled with Schmincke Aero Color Professional Finest Acrylic Ink, which is a liquid acrylic paint, and used to draw lines of various widths on your painting. The tips are a solid felt that won’t dry out and go hard as long as the lid is replaced. So you can draw with real paint! The markers come in six different sizes of tips .8mm to 15mm. The different size tips each require a different size body to fit onto, so each body is a different size. The 1mm width tip comes with a regular length body (Liner No.2) or an extra short body length for fitting into a small space (Liner No.4). You can buy replacement tips if you wear yours out. The labels of the pens include a small blank block in which you can note the number of the colour you have filled it with.